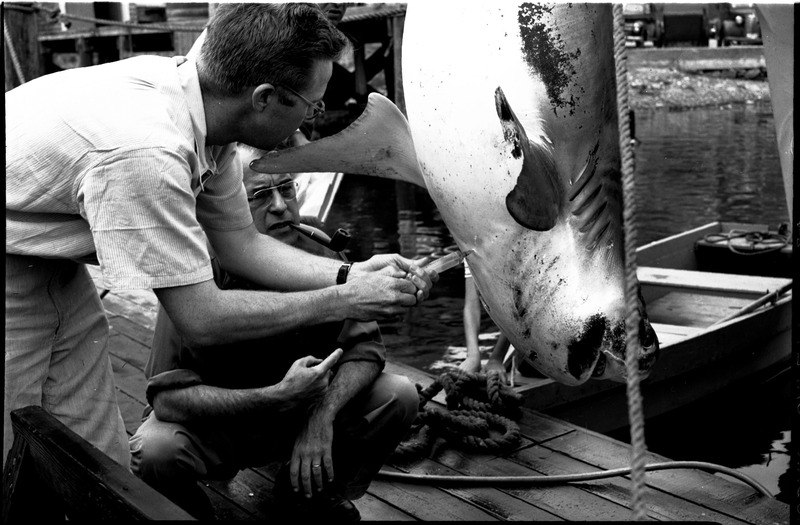 Two men examining shark trussed up be its tail. Syringe is inserted into underside of shark. 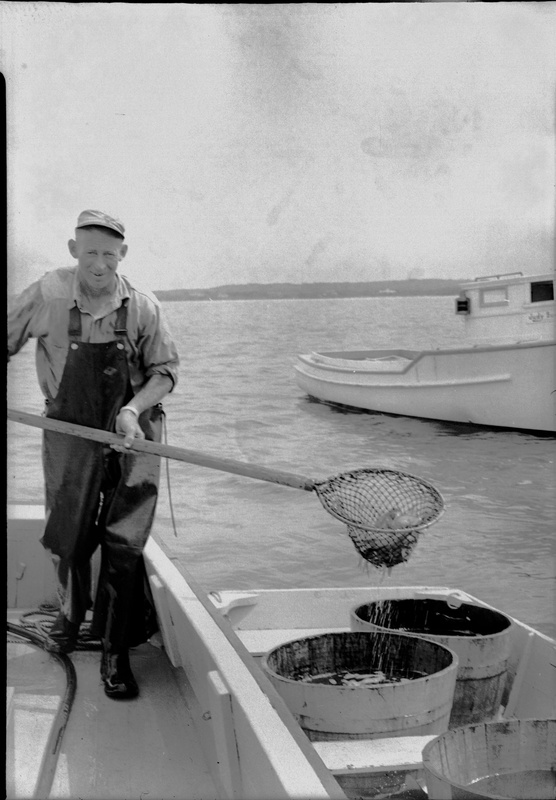 One man standing at a bucket on a table with fish in hand. Woman looking on. 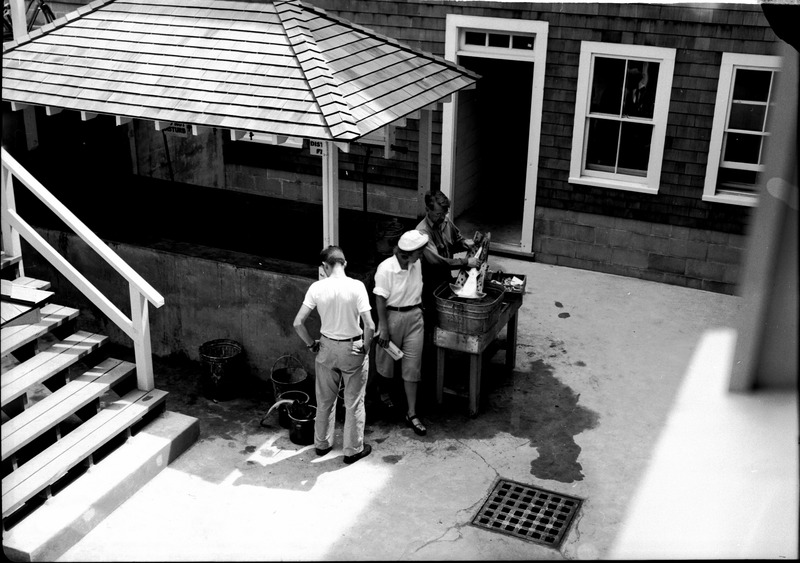 Second man standing looking at buckets on ground. 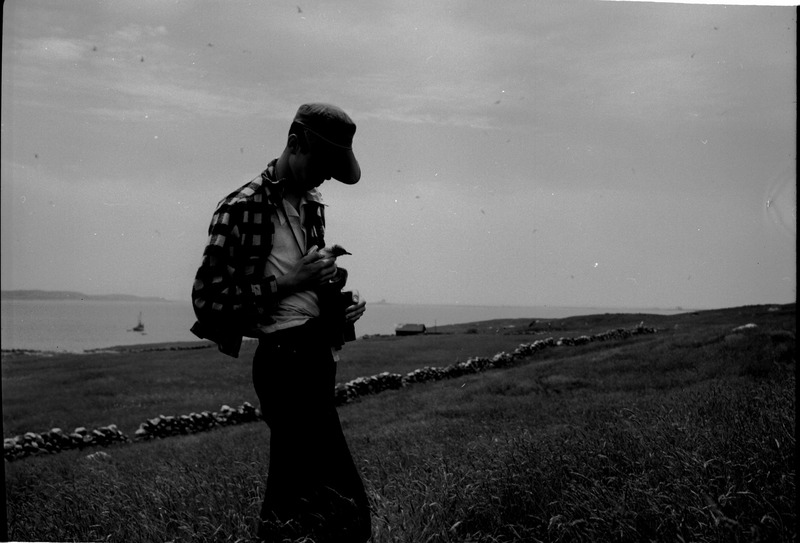 Man walking through a field carrying a seabird. Man in small boat pulling a small shart out of the net at weir. Other fish visible in box in bottom of boat. 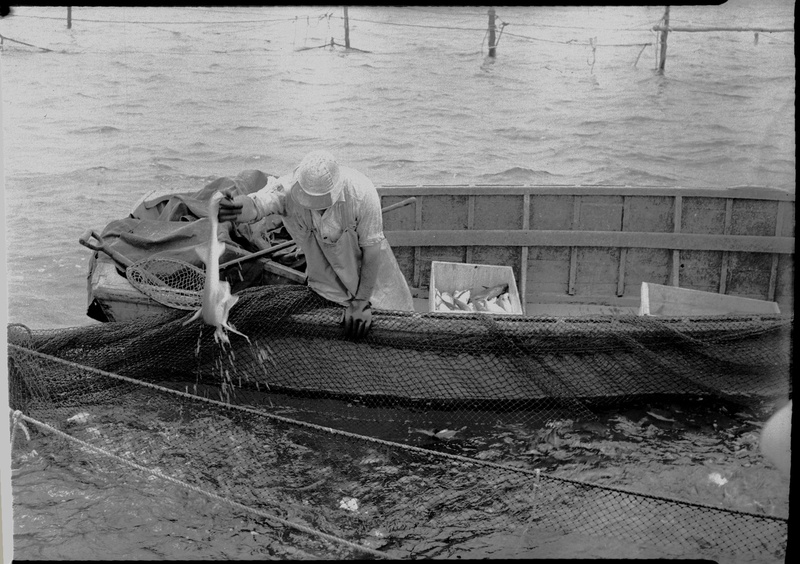 Man in small boat holding hand net above collection containers in adjacent boat. Squid can be seen in hand net.